Hi everyone!! How was your day? Mine was great! I went to Slovenian coast (to Piran) with my family. It was a bit cloudy, but just perfect so that the sun wasn’t to hot and it didn’t burn us :). And now I have a blog to write. 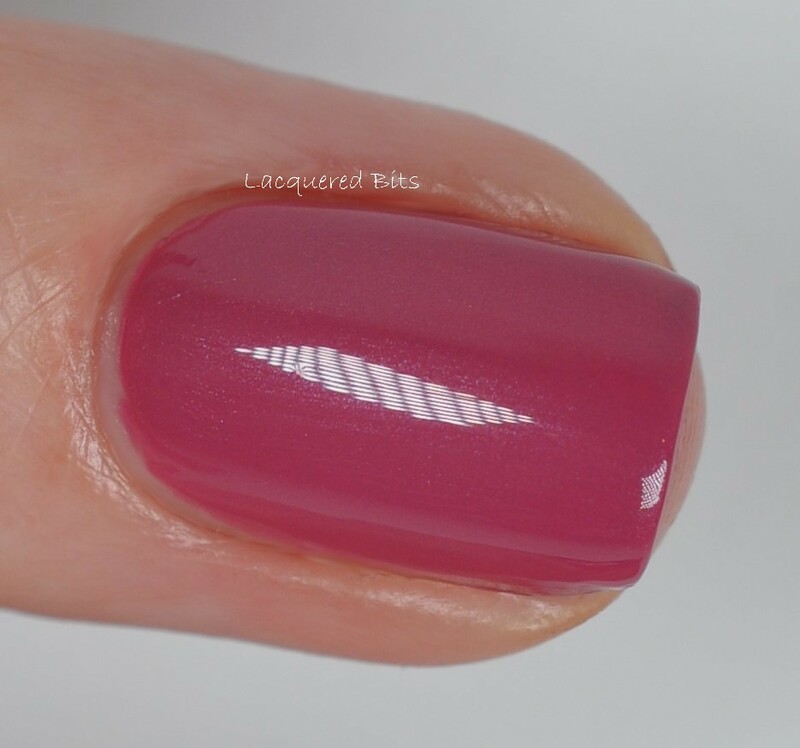 I did this mani yesterday evening, but didn’t have the time to write the post. So I am doing it now. I decided to swatch O.P.I – Just Lanai-ing Around. I fell in love with it the moment I saw it in the press release and I don’t know why, but this dusty feeling to it caught my eye. It is from O.P.I’s spring collection Hawaii. I used two coats to reach full opacity. It was easy to apply and there are no brush strokes visible or there isn’t any streakiness present. Before it completely dried it was a little streaky, but it totally evened out once it dried. 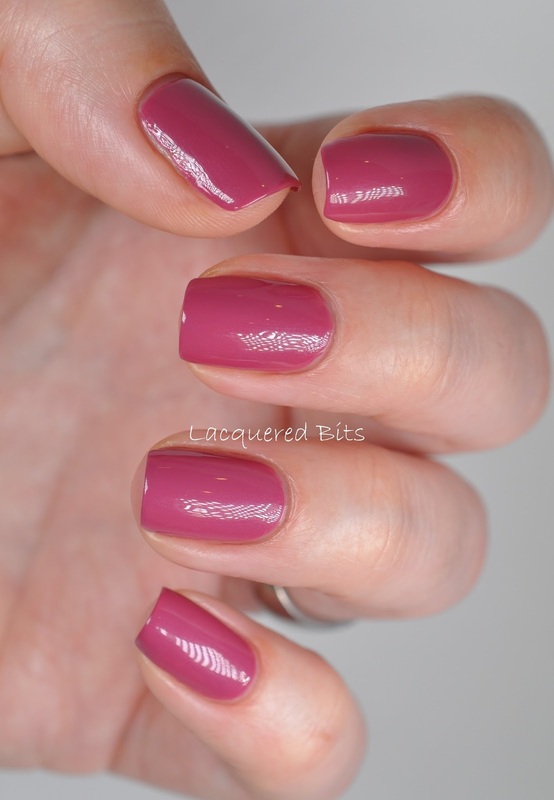 As described on their site it is a dark, creamy mauve.It is a little darker on the nails than it is in the bottle. This isn’t captured well in this photo, but in person you can tell the difference. It also contains shimmer. It is not very visible. You can see it in this macro shot, but you have to look closely. I think the purpose of this shimmer is to give this polish dusty look, at least that’s how I feel about it. It reflects the light differently and the result is this dusty look. That’s my opinion, so I don’t know if that is the case. And it reminds me a lot of orchids. I don’t know why, but I guess this is the colour that represents orchids in my head, if that makes any sense :). What do you think of O.P.I – Just Lanai-ing Around?